aGupieWare: We've Had An Orbiting Nuke In Space For 50 Years. Deal With It. We've Had An Orbiting Nuke In Space For 50 Years. Deal With It. Uh...please don't freak out about this? No seriously, promise you won't be weird about it? Okay. Happy 50th birthday to our orbiting nuclear reactor. It's weird how 1960s ads make everything seem fun. Sooooo yeah. This week marks the 50th anniversary of the launch of SNAP-10A, which has been orbiting the earth and totally not raining death down on any of our heads for a lovely half of a century now. 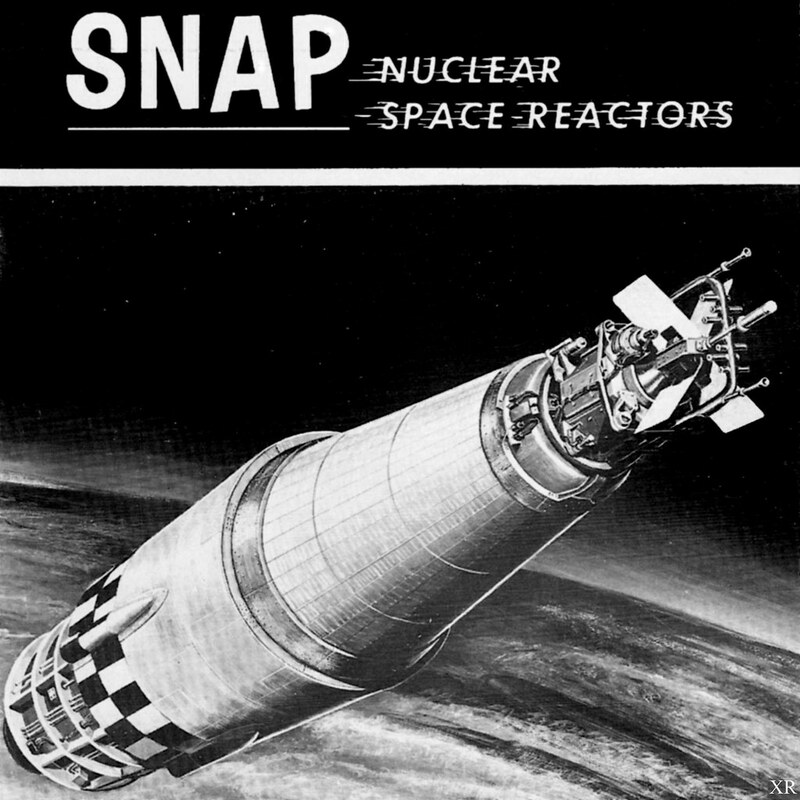 SNAP, an acronym for "Systems for Nuclear Auxiliary Power", was (according to Gizmodo) initially sent up to assess the feasibility of nuclear power used from an orbital platform. This Strangelovian space nuke has been chilling 500 kilometers up there ever since, and given its current orbital trajectory, will likely stay there for the next 3,000-odd years. If you see this hurtling through the atmosphere towards you, run. SNAP was initially among a program boasting a host of radioisotope thermoelectric generators, which harness the power of a decaying element (like plutonium-238) for heat. Similar probes like Voyager and Curiosity have utilized this power. However, SNAP is different, in that it is a true reactor with a controlled fission reaction occurring inside. This reaction was remotely triggered when the device hit orbit on April 3rd, 1965. The achievement was lauded by the city of Los Angeles, because California is weird. Safety (and more importantly, funding) matters have kept future American orbital-nuclear plans grounded, but that didn't stop Russia. Their radioactive recon satellite, Kosmos 954, suffered a malfunction of its onboard nuclear reactor, causing nuclear fallout to rain down on Canada during the satellite's reentry in 1978. Schematic for Kosmos 954's reactor. Just a little bit of Russian death from above. Well, at least we get points for creativity with our giant nuclear space-timebomb, right?